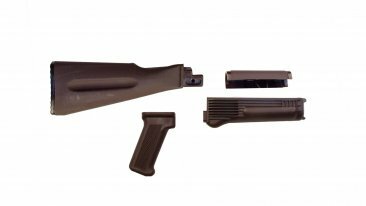 Four-piece US made stock set, 1.25'' extended NATO length for stamped receivers, Plum color shown, available in Tan and Black. 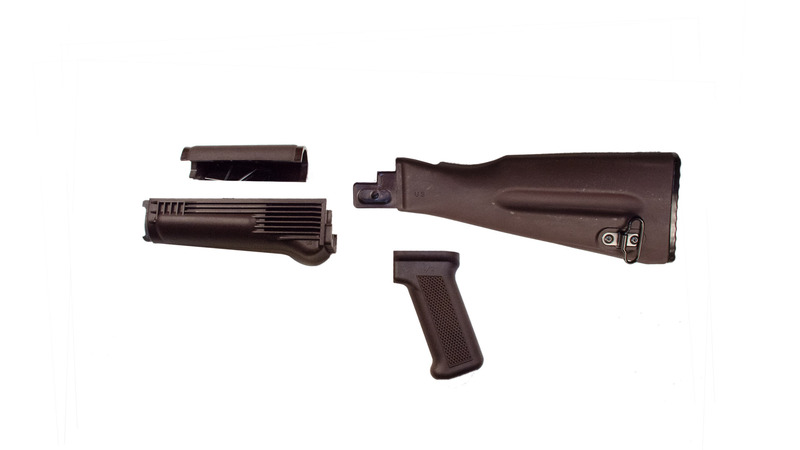 The lower handguard features stainless steel heat shield. The buttstock is assembled with US made bind free sling swivel and features trap door and compartment for the cleaning kit.